Hanh joined Watsi on August 7th, 2018. 15 other people also joined Watsi on that day! Hanh's most recent donation supported Michael, a man from Kenya, to fund fracture repair surgery. 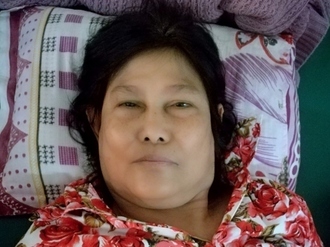 Hanh has funded healthcare for 7 patients in 3 countries. Phorn is a rice farmer from Cambodia. She has three sisters. She enjoys tending to her farm and spending time with her family. 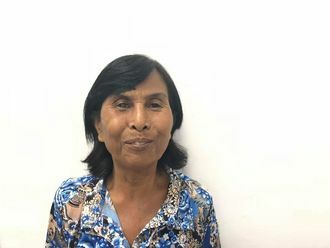 One year ago, Phorn developed a cataract in her right eye, causing her irritation, itchiness, tearing, and a clouded lens. She has difficulty seeing things clearly, recognizing faces, and going anywhere outside. When Phorn learned about our medical partner, Children's Surgical Centre, she traveled for three hours seeking treatment. On August 6, doctors will perform phacoemulsification surgery and an intraocular lens implant in her right eye. After recovery, she will be able to see clearly. Now, she needs help to fund this $211 procedure. She says, "I hope my vision is clear so I can continue my work at the farm." Phan is a rice farmer from Cambodia. She has one son and six grandchildren. She lives with her niece and enjoys listening to radio programs. 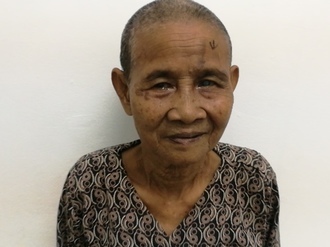 Four months ago, Phan developed a cataract in each eye, causing her blurry vision, tearing, and irritation. She has difficulty seeing things clearly, recognizing faces, and going anywhere outside. When Phan learned about our medical partner, Children's Surgical Centre, she traveled for three and a half hours seeking treatment. On June 5, doctors will perform an extra-capsular cataract extraction and an intraocular lens implant in each eye. After recovery, she will be able to see clearly. Now, she needs help to fund this $398 procedure. She says, "I look forward to visiting the local pagoda and spending time with loved ones after my surgery."